This will be our 2nd Transformational Community Development (TCD) training in Monument Colorado, USA! TCD training will teach you an effective, low cost, relational way of bringing transformation that teaches impoverished communities to become self-sustaining hope-filled lives. You’ll also experience “live SKYPE” sessions with nationals doing TCD! If you wish to sign-up go to registration link above. 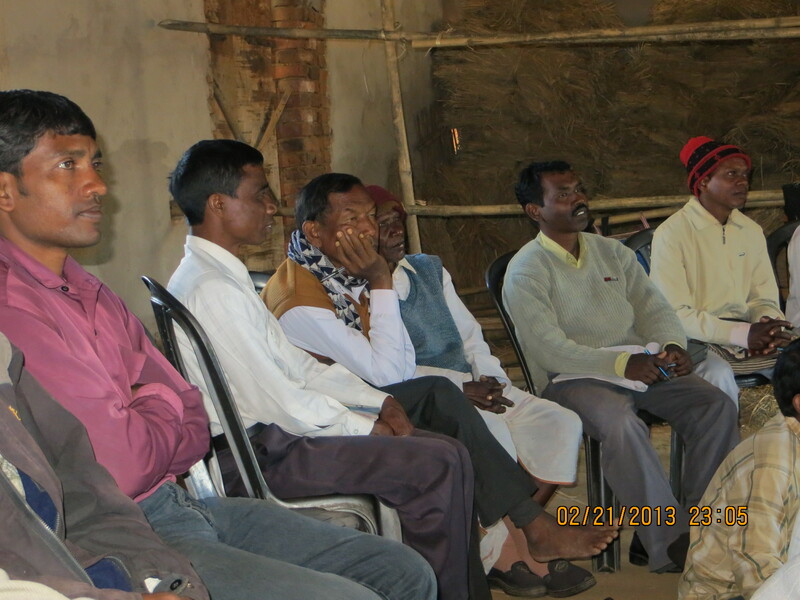 GHNI is always seeking out the best relationships and villages in which to vest. May, offered me the privilege to go with Sushil Marandi, to assess and meet his team, as they plan to move into the area and develop TCD. Four hours south of Kolkota, this team of three men of integrity, were all raised in the same orphanage in West Bengal. They have huge hearts to live in this new village and together, bring this community into it’s full potential of self-sustainability. This could easily become “THE” Model TCD village, offering to mentor itself out to neighboring villages. Thank you … YOU … for being such an integral part of this endeavor. If you would like to financially support this specific new TCD village, or Daniel, in his focus helping there, please do not hesitate to contact us. Traction abundant in India … awesome India ! It’s a remarkable sign of transformation when we see something happening by itself, which we have been trying to accomplish a long time. This was so surprising as I saw two persons of our village doing business which is out of the tradition(Santal). He is Manik. He said, “In starting it was difficult for me to chose which vegetables should I grow to make profit, because vegetables like tomato and leafy vegetables are profitable, but cannot be preserved for a long time, that’s why I started growing vegetables which can be preserved for long time like, potato, onion etc. Now I have experience to grow in large scale”. He thanks GHNI team for helping him recognize his potential. Rupam, is 14, in 8th grade. His father is a carpenter and mother a house wife. 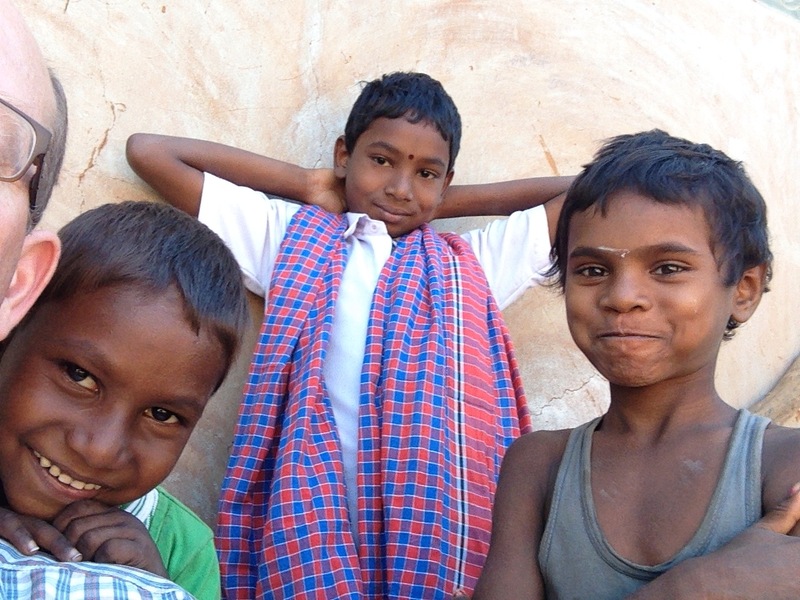 Rupam’s parents did not study much so it is their desire to educate him. They know computer knowledge is as important as the regular education. His father asked if I could educate his son in our new GHNI computer center. This was a blessed month for villagers and a milestone for us. With the help of GHNI, we distributed 36 goats to the villagers to make them self sustain and make them able to see the dream for their better future. Like this family there are many families who have got so much of help with this initiative. We are so much thankful for GHNI and all who raised their hands for helping us with their effort and resources. Gift(s) in knowledge transfer and embracement can truly be one of the best gifts given and received. GHNI is committed to GIVING! November, I(Dan) was able to be a part of a team that used a skit to illustrate Self-Sustainability versus Relief/hand-outs. We call it “The Bridge Illustration”, and it is an integral part of our sessions taught. NOT REALLY ABOUT crossing a river per se, this skit does however communicate how individuals can help each other and “own” decisions for themselves as well as others in their indigenous settings in villages. Smallest News(e-mail) Is Biggest News! 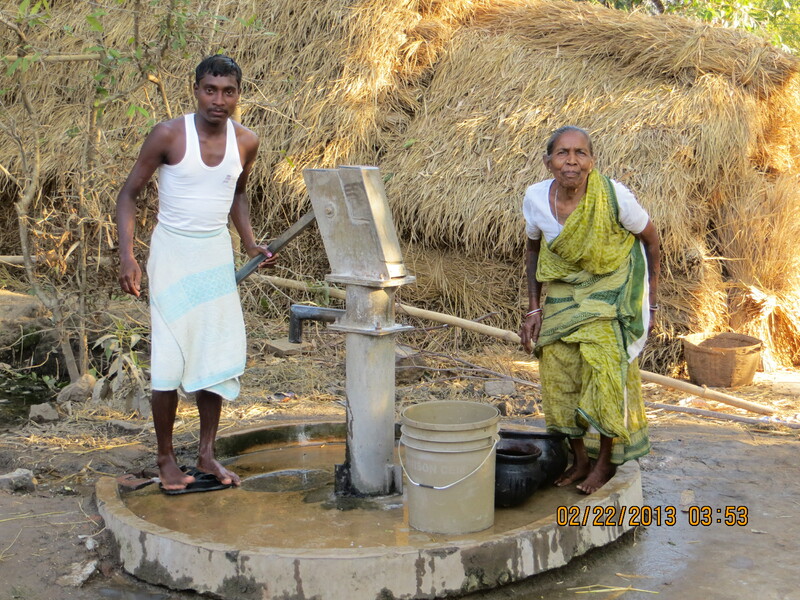 Yes, we have been able to set water committees in all the three villages we have put tube wells. 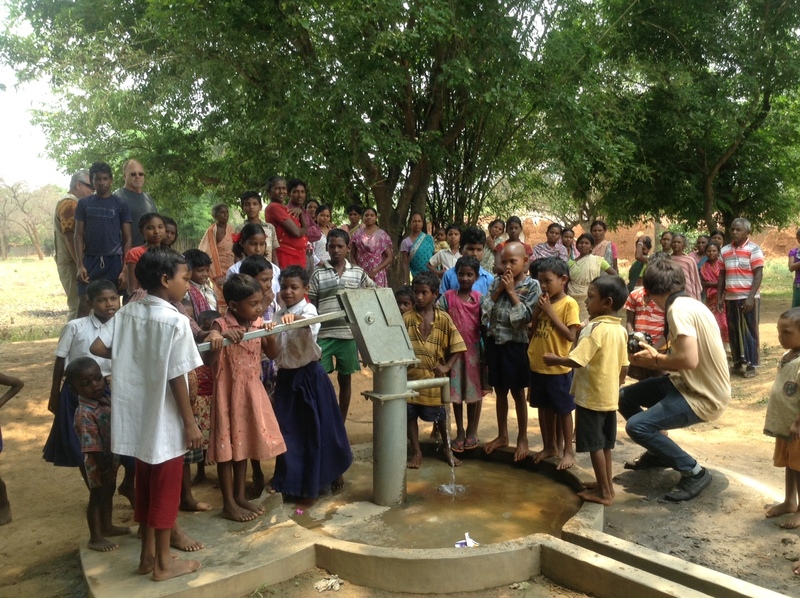 We also have taken them through the TCD lessons on safe drinking water. GHNI Gains Presence in the United Nations !!! Isabelle Bourgeois is a recent addition to GHNI as our Permanent Representative to the United Nations. A native of Geneva, Switzerland, home of GHNI headquarters, Isabelle has worked for many years on the United Nations stage for a wide variety of human rights issues. With a multidisciplinary training and a master degree in humanitarian action, she is engaged for more than 25 years with NGOs and associations working alongside the most vulnerable. Isabelle enables GHNI to be a global active player at the international level of the United Nations movement, working to strengthen ties between Human Rights efforts, the International Community in Geneva, and GHNI. Isabelle launched her efforts with GHNI by presenting the following speech at a United Nations Side Event*—an event outside official United Nations meetings, organized for the purpose of sharing experiences and increasing opportunities for informal dialogue among the meetings’ participants. We are all aware of the challenges connected to each other, inseparable that arise in the world. The situation remains very fragile. The load for all is growing. The needs are enormous and constantly increasing. They are factors of violence, protest and desertion of their living areas by the affected populations, in particular those affected by extreme poverty. 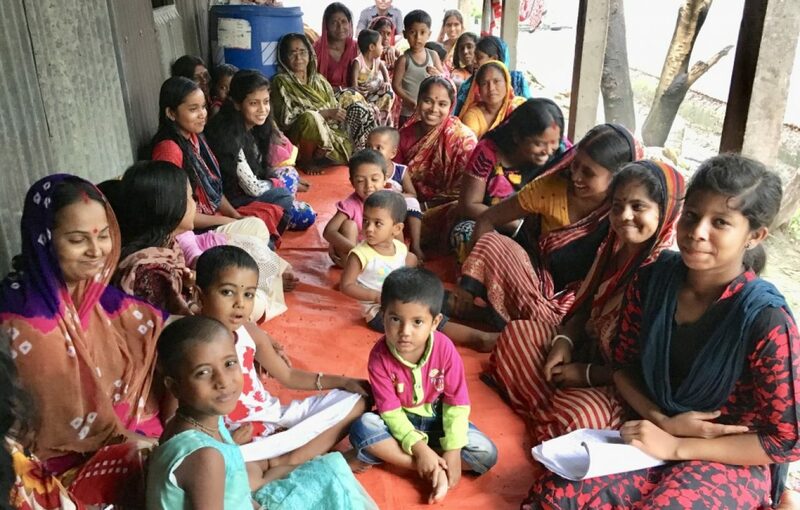 The NGO Global Hope Network International (GHNI) has experienced positive examples of communities transformed by the active participation of people, groups and villages belonging to the marginalized in the world’s poorest areas. For 12 years in 40 partnership countries, it offers emergency, humanitarian aid and initiates community projects of 3-5 years. Despite the risks, Global Hope Network International (GHNI) makes it a priority to help and give hope in the most heavily insulated, inaccessible and poorly developed areas. By setting up and carrying out community development projects (TCD), the organization supports, motivates and equips communities so that everyone can participate in the decisions and actions affecting its own life, its own development and that of its entourage. These collaborative projects are spaces for dialogue and training. They allow individuals to gain confidence in themselves and their relatives. They contribute to help people to have a sense of belonging, to be essential actors in the community while encouraged to stay and develop their own place of life. Sometimes a good media piece says it all.